My opinions are my own and all books I review are either given to me free for my honest review, books I’ve checked out from my local library, or ones I’ve purchased on my own. Only print copies will be reviewed as they are then donated to local libraries in support of Children’s Literacy. The book being reviewed must receive at least a 3 on the rating scale listed above in order to be included in the BOOK NOOK REVIEWS lineup. Reviews with a 3 rating or higher will be promoted on numerous social sites including the Story Catcher Publishing blog, Facebook, Twitter, Gooogle+, LinkedIn, Amazon, and more. Any books with a review rating of 1 or 2 will receive a private email indicating areas which may have affected the overall rating. 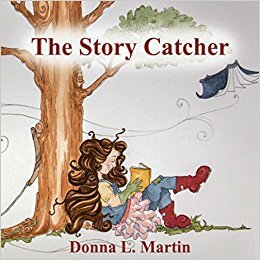 Authors or Publishers wanting books to be considered for BOOK NOOK REVIEWS should forward a print copy to Donna L Martin, C/O Story Catcher Publishing, P O Box 27788, Knoxville, Tn 37927. Picture book reviews are usually posted within one month of receiving, chapter books and young adult novels within two months. Any questions, send me a message at donasdays@gmail.com. If you discover one of my reviews have helped you decide on whether to add to your own home library or to select a book as a gift, please take a moment to share my BOOK NOOK REVIEW with your friends by sharing my blog post. Just click on one of my social sharing links found at the bottom of each blog post. Check out my BOOK NOOK REVIEWS each Wednesday on my blog and lets “catch” some great stories…together!